Canadian Barrick Gold (TSX, NYSE:ABX), the world’s largest producer of the metal by output, brought some fresh bad news to investors late Thursday as it warned expected to book up to $3 billion in impairment charges amid continued weakness in gold prices. The Toronto-based miner has had a rough time in the Latin American market, where most of the impairment charges will be focus. 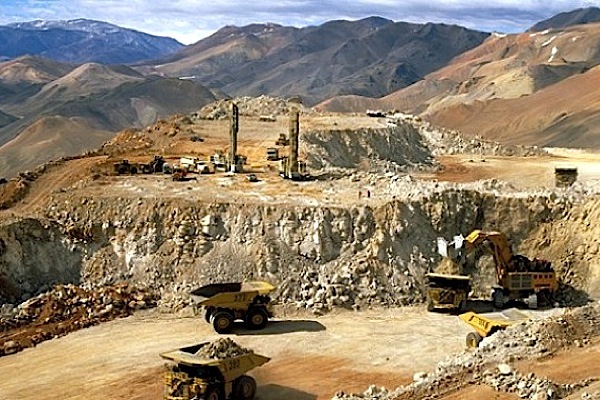 Barrick said it will write down the value of its mothballed Pascua-Lama project straddling the border of Chile and Argentina and its Pueblo Viejo gold operation in Dominican Republic by a total of between US$1 billion and US$1.2 billion. The company will also reduce the value of goodwill — an intangible asset related to some of its past acquisitions — by about US$1.8 billion. The charges are based on a gold price assumption of $1,000 per ounce for 2016 and a long-term gold price assumption of $1,200 a troy ounce. The company’s average realized gold price for the three months ended Sept. 30 was $1,125; meanwhile, gold settled Thursday at $1,098.20 on the New York Mercantile Exchange. Barrick also announced that it produced about 6.12 million ounces of gold and 511 million pounds of copper last year, both within its expectations. The company has been trying hard to improve its balance sheet after gold prices dropped in 2015 again for the third straight year. Barrick has sold assets, formed partnerships and used proceeds toward its target of cutting debt by $3 billion.